This is a rather fabulous set that contains 15 exciting dinosaur project and its aimed at children aged 8 and over . Includes 1 ammonite, 1 Excavation Block, 1 Excavation Tool. 1 Thermometer, 1 Magnifying Glass Plaster Powder, Triops Eggs, Triops Food, Triops, sand, 1 Meganeura Model, 1 time line, 5 Plaster forms. Impressive huh! Hours of fun and lots of great projects to complete. The first thing my son was desperate to do was to make the model. I have to say it is really robust almost a month later and it is still standing and it does look rather fantastic. Next he began to dig out a fossil. It took a while but it was all very exciting. So exciting when it finally emerged! Next on his list is making a huge dragonfly. It has kept him entertained and focused for ages. Such a good quality set with some great end products and lots of information. 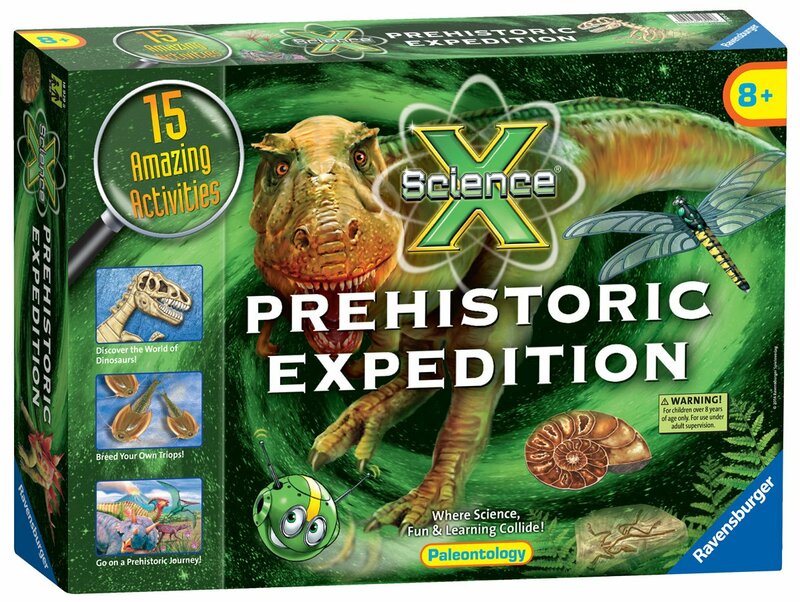 It costs £26.72 and would make a lovely quality gift for a budding paleontologist.